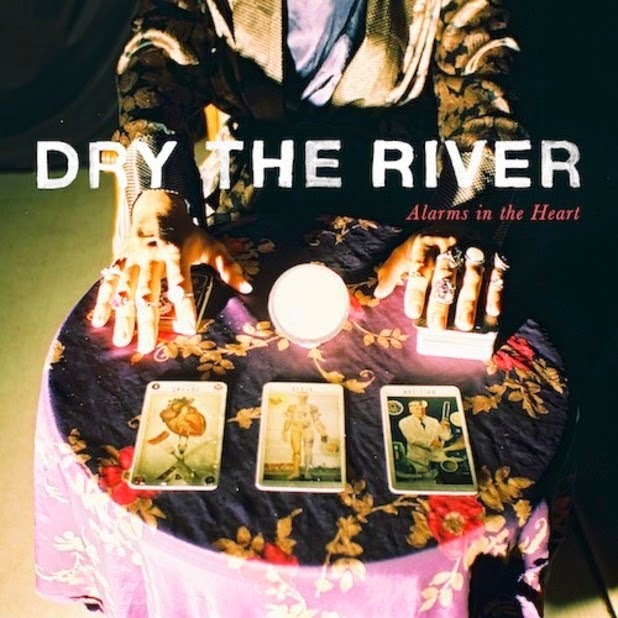 Through the unmistakable chime of their guitars, surrounded by Peter Liddle's smoky Southern accent, Dry The River return stepping up their forthcoming album's campaign as they share a brand new video to their latest single, Everlasting Light. Following on from Gethsemane shared last month the London quartet get all fight club on us as they prepare to take on a bunch of female black belt holders (with little success). As for the track, it follows suit with the same Dry The River we've all grown to love, but with a grittier edge and swanky lyricism refined to the highest degree, it's safe to say their back bigger than ever before. Teasing with a never quite fully developed break, Everlasting Light slinks and sways through piercing guitars and hearty basslines in the most gorgeous of ways, all built upon the foundations of its percussive drives, forged with the kind of folky rasps that defined their roots. Take a listen above for yourselves. The forthcoming second album 'Alarms in the Heart' is set for release through Transgressive Records on August 25th.